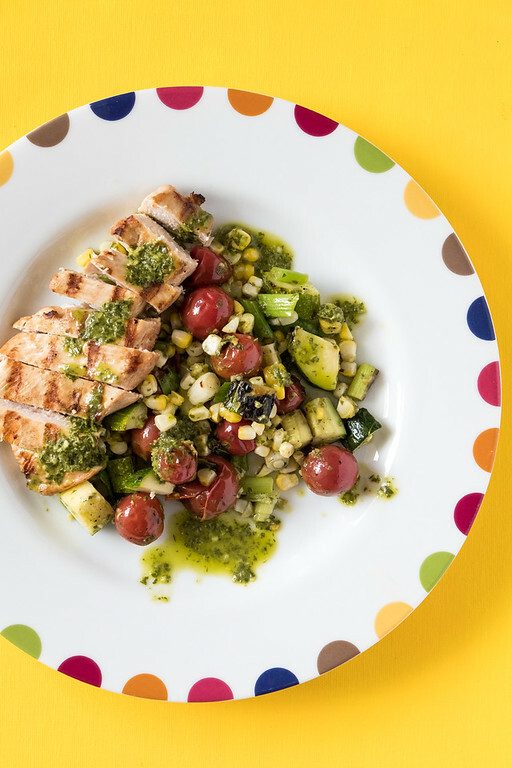 Cayenne pepper adds a little heat to this Spicy Chicken, Corn and Couscous Salad! You’re going to love how easy it is to get a healthy dinner on the table in under 30 minutes! Click here to pin this Spicy Chicken and Couscous Salad now! Whole Wheat Couscous – the Easy Way to Add Whole Grains! Do you like whole wheat pasta? Honestly, I’m not a fan. I haven’t really tried it lately, so maybe they’ve improved the flavor. It’s not so much that I don’t like the flavor of whole wheat pasta, it’s just that I like the flavor of regular pasta better. It’s the same with whole wheat bread. I’ll eat it, but I’d much rather have a sourdough baguette. The only exception to the whole wheat bias that I have is whole wheat couscous. I love it. It’s just as easy as regular couscous and is better for you. I use it almost interchangeably with grains. However, for this Spicy Chicken, Corn and Couscous Salad from a 2010 issue of Donna Hay magazine, all I had to substitute was whole wheat couscous for regular. One of the things I liked about this recipe, besides how easy it was, is that it only uses two chicken breasts halves to serve 4 people! You press down on the filet and using a sharp knife, you slice it from side to side, resulting in two smaller filets. It was perfect! 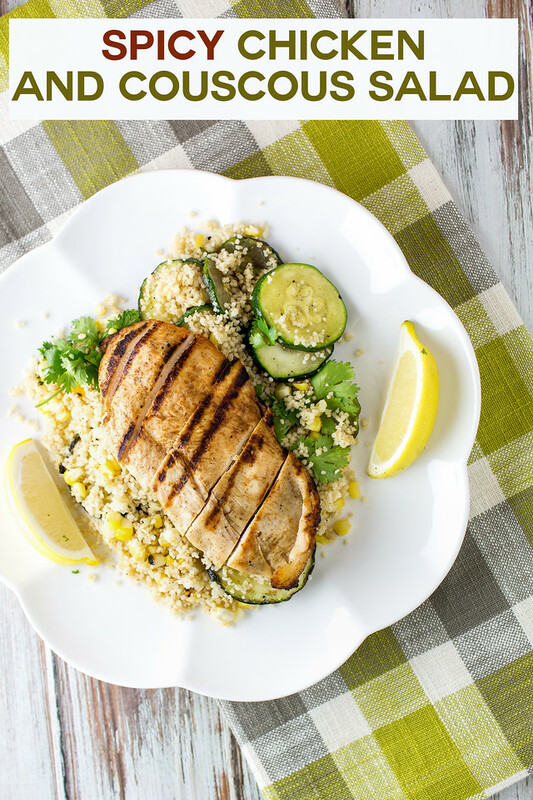 This whole recipe is super easy to put together, you basically grill all of the vegetables, then toss them with couscous, while you grill the chicken. It’s on the table in under 30 minutes! Another favorite easy chicken dinner is this Lime Grilled Chicken with Vegetables and a Basil Herb Sauce. 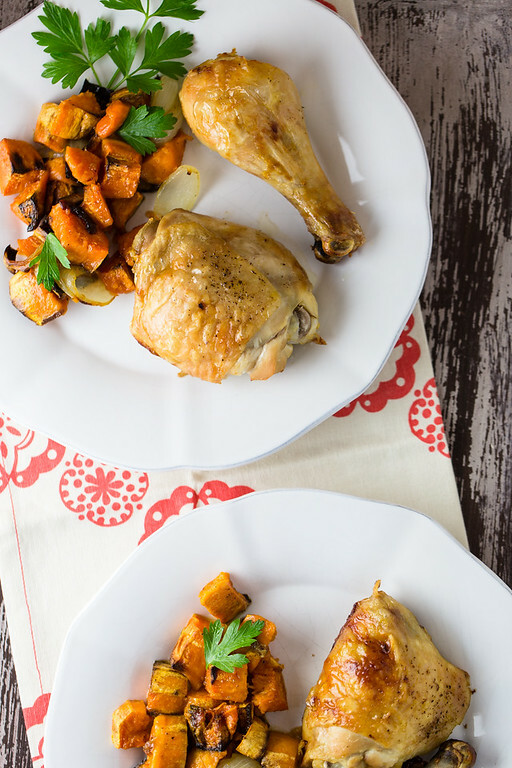 This Maple Roasted Chicken with Sweet Potatoes is an easy sheet pan dinner that you’ll turn to time and time again! 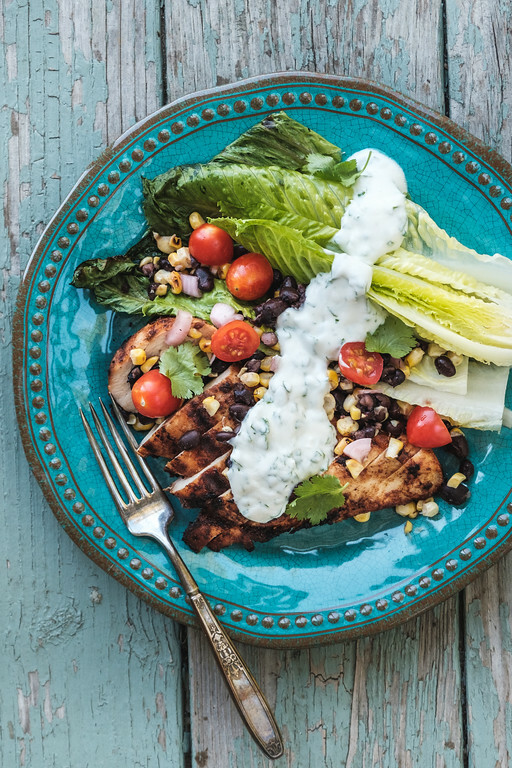 Everyone loves this Grilled Chicken with Corn and Black Bean Salsa! 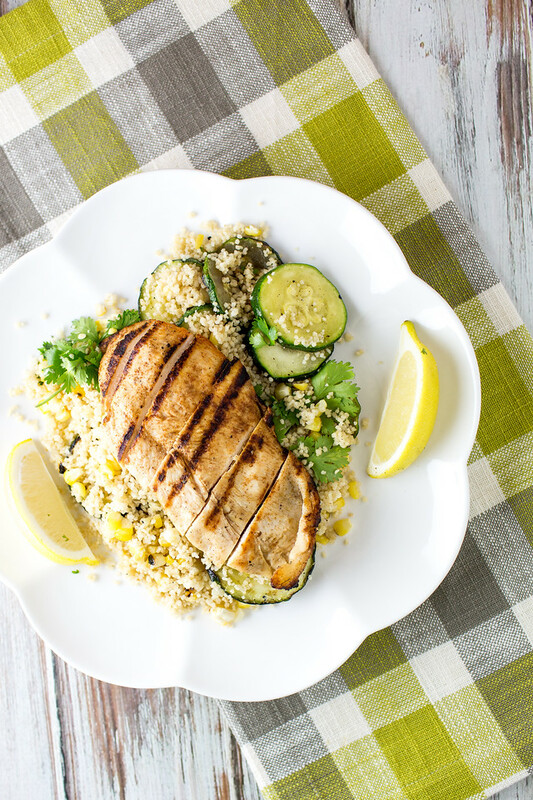 This Spicy Chicken, Corn and Couscous salad is healthy, delicious and ready in under 30 minutes! Slice chicken breasts in half horizontally. Place the chicken, cayenne pepper, garlic and 1 tablespoon of oil in a bowl and set aside. Heat a grill or grill pan over high heat. Toss the corn, zucchini and chiles with the remaining oil. Char-grill or grill the corn and the chilies for about 8 minutes, turning, until tender and blackened in parts. Remove from the heat and chop the chile and place in a bowl. Remove the kernels from the corn cob and place in the bowl with the chile. Grill the zucchini for about 2 minutes per side. Add to the corn mixture, along with the couscous and cilantro and toss to combine. Grill the chicken for about 3-4 minutes per side, or until cooked through. Serve the chicken sliced over the couscous salad with a lemon wedge for serving. I’m with you on the whole wheat, it’s usually too heavy for my taste. I will be trying the whole wheat couscous thanks! We would love your Spicy Chicken and Corn Couscous, this looks fantastic! Thanks so much for sharing with us today at Full Plate Thursday and have a great weekend! Have you tried the high protein angel hair? I like it better than the regular, but I’m not as fond of the high protein penne. Just a thought. Your chicken dinner looks really good; this is the right time of year to use fresh corn, because it’s so available and delicious! I always forget about couscous but it’s such a great ingredient because it cooks SO fast! Perfect for a busy weeknight! I love to use couscous, too. It is so simple and kick. Sounds like a perfect weeknight dinner. This looks like such a lovely light meal. A great way to use up all the corn we just picked too! What a lovely fresh looking meal. Definitely one to add to the rotation this summer.